In the 1974 super hit "Roti", Kader Khan is credited with additional dialogues; his name, though, appears three font sizes bigger than the dialogue writer Akhtar ul Iman. 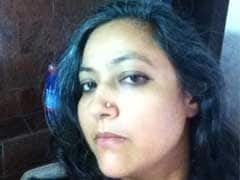 "Kasoor mera nahin, roti ki kasam, bhook ki duniya mein imaan badal jaate hain (Hunger trumps all values)". Kader Khan describes his meeting with Manmohan Desai, the director of "Roti", in an interview with Connie Haham in 2007. Desai, who was fed up of Urdu writers available to him, was so impressed by the dialogues, that he gifted Kader Khan a TV and called all writers in the industry and warned, "Be careful". Manmohan Desai would later acknowledge Kader Khan's contribution to his film's success, stating, "I use roadside dialogues because it is easy to follow. Of all the dialogue writers I've worked with, Kader Khan is easily the best. He knows the colloquial idiom. I've learned a lot from him". When Manmohan Desai decided to produce his "Amar Akbar Anthony", he chose Kader Khan again for the dialogue. Remember the iconic drunken mirror scene with Amitabh Bachchan? Manmohan Desai's big rival in the masala formula was Prakash Mehra. The camps were demarcated and loyalties fixed; other than Amitabh Bachchan, only Kader Khan could inhabit both. "Muqaddar Ka Sikandar", "Laawaris" and "Sharaabi" are some of Prakash Mehra's films in which Kader Khan wrote scenes and dialogues. A civil engineering professor at a Mumbai college, Kader Khan was discovered while performing in a college play. It was in the 1974 Rajesh Khanna starrer, "Daag", that Kader Khan gave his first screen appearance in a tiny role as a public prosecutor. In his own words, the actor in him helped the writer and vice versa. He was almost always the narrator as well in these films thanks to his reverb-sound smooth voice. Kader Khan is in the rare league of character actors who left an imprint on Bollywood. Most 80s kids though will remember him as a supporting, character actor, usually the bad guy in films produced by southern studios. The actor Jeetendra introduced Kader Khan to the south. Initially wary of the literal translations of dialogues in remakes, he was eventually persuaded, with guarantees of no interference, to write the dialogues for "Meri Awaaz Suno" in 1981 followed by "Himmatwala" and many more remakes of Telugu and Tamil films like "Justice Chowdhary", "Mawali" and "Maqsad". In almost all these films, Kader Khan also played a villain with Shakti Kapoor as his partner in crime. The double shifts between Bombay and Madras, between acting and writing, took its toll, the language was getting more tawdry, suffused with double entendres. Govinda took over from Jeetendra as the lead in these films but Kader Khan stayed. As the storylines got thinner, the Kader Khan-Shakti Kapoor combo skewed slapstick and then absurd. But the front-benchers couldn't get enough of it. The 90s saw a change of guard at the movies with the young Khans firmly in charge and Kader Khan's parts became fewer and far between. 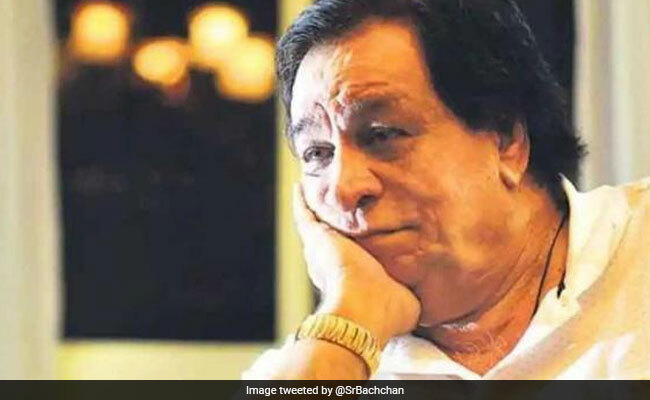 He would be occasionally seen on TV remembering the old days and sometimes outing bitter outbursts against old colleagues including Amitabh Bachchan whom he blamed for transforming into a man Kader Khan didn't recognise. That Kader Khan did most of his work in the time of the "one-man industry" and still managed to shine puts him in the rare league of character actors who left an imprint on Bollywood. That he was among a rarer breed of writer-actors seems to have been lost in the tributes.